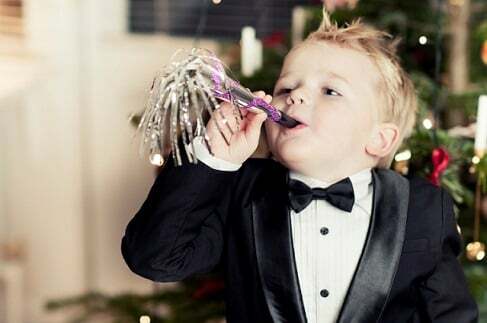 Seven tips on how to plan a really great New Years Eve with kids. Parents, we've got your NYE plans covered. You have one sleep to go, so if you are struggling to think of something, here you go. Every single year at at the beginning of December my husband and I start talking about doing something for New Years Eve. Then in the excitement and stress of Christmas, NYE discussions fall behind and we end up scrambling for plans a few days before the end of the year. It’s pretty much a non-event to be honest. It’s true that as a parent NYE may no longer be the wild, crazy celebration it used to be. But it is still possible to have a great night with little people. Here’s how to plan New Years Eve with kids. Depending on how old your children are, taking the family to see some family fireworks is an exciting and special night. Pack a picnic and think about making a group with other friends (with or without kids). To get a good vantage point you’ll probably have to make your way down to the location early to mid afternoon. This can get tricky with small children still having sleeps during the day but if you’re kids are old enough to stay out late, the fireworks is a magical experience that will create some great memories. Consider leaving the city for the night and find a great deal on holiday rentals somewhere away from the action. It&apos;s a nice way of starting the year refreshed and relaxed, enjoying the company of your little people. Then, when they go to bed make a special dinner and open a bottle of wine to share in the peace and quiet. Last year, some friends of mine had the great idea to hire a houseboat and spend the night drifting around under the moonlight. It didn&apos;t cost the earth and was a great experience for their kids who loved the novelty of watching passing dolphins and fish and waking up to the sound of the waves. Camping is another affordable option for getting away from it all over the New Years period. You&apos;ll need to get in early to secure a spot in the popular sites but there should still be plenty around. Camping is a very family friendly event which won&apos;t break the budget. Pack well and try and bring most things with you. If your campsite permits, you can bring your own fireworks in the form of sparklers for the kids (and adults) to play with. Have a quick look online for some awesome photo ideas. Ok so you probably won&apos;t be challenging each other to tequila slammers as has been the case in New Years passed (or maybe you will when the kids are in bed) but you&apos;ll still have a great night just being with your nearest and dearest. To save one person taking on the workload for the whole night, consider delegating dishes to different people and just sit back and enjoy. If you&apos;re keen you could even have a theme for the night like "Host a Murder" or "Hawaiian" and encourage people to get involved and dress up. 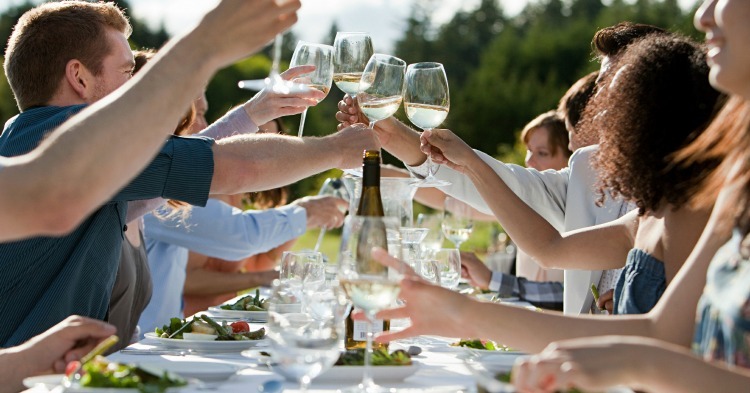 The kids can have fun running around with their friends and you can enjoy a glass of wine with yours. An appropriate bed time is still achievable being at someone&apos;s house and you can start New Years Day without feral, overtired children. If you&apos;re really keen to hit the town, or have an invitation to a special event on NYE think about hiring a babysitter. Yes, it is shockingly expensive on your own (unless you&apos;re lucky enough to have family volunteer) but often babysitters will have a flat (even overnight) rate for groups of children. Get together with your other parent friends and arrange the babysitter to come to someone&apos;s house and mind the whole tribe while you all enjoy a night off. If you have really young children, like I do, consider moving your celebrations to New Years Day. I&apos;ve always felt that NYE was a huge let down when you put heaps of pressure on yourself to have &apos;the best night ever&apos;. Accept that while you have small kids, NYE is probably going to be a scaled back celebration for a few years. So what? That doesn&apos;t mean that you can&apos;t plan a great New Years Day. Invite friends over, pick up some yummy food and set up a paddling pool in the yard. Get some great music happening and start 2015 the right way. Think school holidays are expensive? Not with these handy tips. 6 tips for travelling while pregnant.